the 2015 Animals, Animals, Animals Book Festival. It was a named RUNNER-UP in the Spiritual Category. “I bought this book for my 10 year old son who struggles to keep a book in his hands. After he’d read a few of the stories, I asked him what it was like. He looked up, smiled and started, without prompting, to tell me about one of the stories. I then watched his face as he continued to read on; smiles came and went and now-and-again, I was asked the meaning of some words. This book had my son reading with enthusiasm!!! Thank you Fiza, that is a great achievement. How did the animals aboard the Titanic save themselves? How did a lion save Christians in distress? Can dolphins pray for the dead and can a snake solve a riddle? Do last wishes come true and is there really a Santa Claus? Can animals lie like human beings? Why did barn animals enter a mall? All these and other questions, including a mystical story, are answered in the book S.O.S. 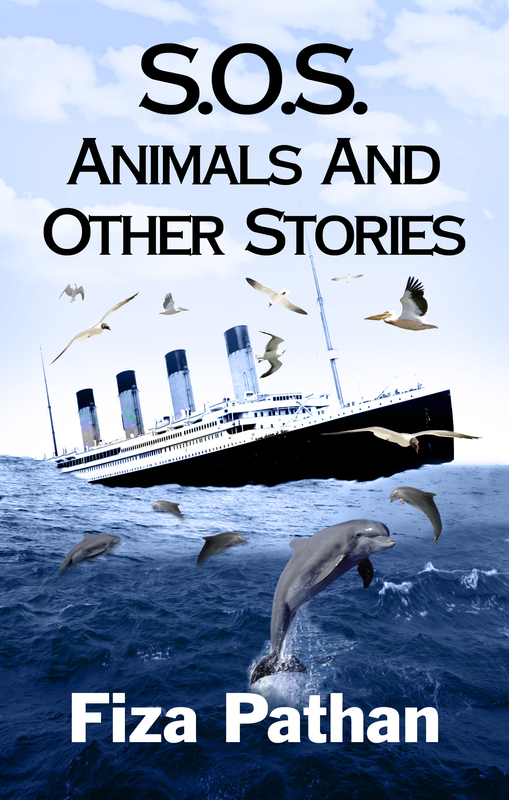 Animals And Other Stories, in a manner never narrated before. In the 2015 Holiday Book Festival, the book received Honorable Mention in the WILD CARD Category. In the 2015 Animals, Animals, Animals Book Festival, the book was declared RUNNER-UP in the Spiritual Category. The revised version of the book (December 2014) was edited by Margaret Langstaff of MargaretLangstaffeditorial.com and the beautiful cover was designed by Laura Wright LaRoche of LLPix Photography and Design.